Pressure is defined as “the use of persuasion, influence, or intimidation to make someone do something” while a peer group is “a group of people of approximately the same age, status or interests.” Chances are you felt peer pressure as a child. Same for today’s kids. A vital thing to understand is that it usually comes from a group, not just one other child. It can also come from brothers and sisters, “cooler” older kids, friends’ households, and from within the child’s own home. For this reason, it is important that we know how to help our children with peer pressure. When it comes to drug and alcohol use, kids today are inundated by positive images and messages from movies, videos, and the internet, while billboards portraying the “attractiveness” of cigarettes and alcohol are omnipresent. The “authority” of television hits them with advertisements for prescription drugs. The United States and New Zealand are the only countries in the world that allow direct-to-consumer (DTC) advertising in the pharmaceutical industry (Brazil permits advertising of non-prescription medication). In 2015, the $395 billion US pharmaceutical industry spent $5.2 billion on DTC advertising. While a child may not rush out to “tell their doctor” they need a prescription for a psychotropic drug, the incessant advertising normalizes drug use and even self-medication. How Can I Help My Children with Peer Pressure? A child today is hit from virtually every angle, telling them that a chemical high or fix is the solution to their problems, from focusing on schoolwork to classroom popularity. Our kids need parental guidance now more than ever. Here’s a list of things you can do as a 21st-century parent to help your children with peer pressure. If your child feels he or she cannot talk to you, it’s going to be uphill all the way. Their “friends” in school are exerting pressure. If they cannot talk to their mother or father as a friend, they may have nowhere else to turn and are left to fend for themselves. Even if they’ve “agreed” to tell you what is going on, don’t assume they have. Rapport means “a harmonious relationship based upon mutual communication, understanding, and respect.” Establishing rapport with your child may take some work, but it’s well worth it. Communicate. Listen. Be a confidant. Your kids look up to you and will mimic your behavior for better or worse. It is true that a child must understand that what is acceptable and legal for an adult differs dramatically from what is allowed for children. However, not all kids grasp this. They may think that if you smoke and drink, so can they. Discussing the matter should make it clear. But taking it to the “next level” can have far-reaching ramifications. 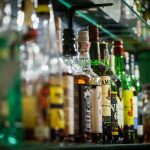 If you stagger into your home drunk and out of control or reek of weed, your kids will take note – silently at first, but they may do the same exact thing later. Ask yourself if you’d like your child doing what you’re doing. Talk to them. Set a desirable example. If you personally need help with substance abuse, seek it out. You and your kids are worth it. Talking with a seven-year-old about peer pressure is going to be different from talking with a teenager. A young child has different priorities and circumstances than a teen. But, don’t assume that just because a child is very young that they haven’t been exposed to drugs or alcohol. Kids can be put on Ritalin (methylphenidate) and other psychotropic drugs at six years of age or younger. Ritalin, a stimulant, earned the name “kiddie coke” since it has an effect similar to cocaine on the young brain. Kids have been known to crush, snort, smoke, and inject it. Due to its tendency to bring about abuse, dependence, and addition, the drug has been labeled a Schedule II Controlled Substance by the Drug Enforcement Administration (DEA). Teenagers face a whole slew of problems being in that turbulent zone between childhood and adulthood. Talk with your kids and attempt to see the world through their eyes. This will help you know how to help your children with peer pressure and other challenges. When you’re doing all the talking and sound like a lecturer, there’s no guarantee you’re getting through at all. One way you can gauge your level of rapport is by asking questions. You can ask your kids what positive or “good” things they’ve been told about drugs and take up each individually. Ask them what problems they think might be “solved” through drug or alcohol experimentation. 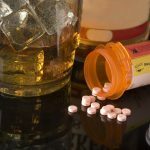 Watch television or commercials and have them point out each positive portrayal of drug or alcohol use and whether this has any basis in reality. By getting them observing and talking, they become proactive participants rather than a silent audience. This helps children with peer pressure understand more about drug use and how to handle peer pressure. Telling kids to “JUST SAY NO” only goes so far. In fact, it has the reverse effect on many kids. When you were young, did you have the urge to do the exact thing you were told not to do? Maybe you still have that urge. A rebellious spirit isn’t necessarily bad, but when it comes to drugs, it can be harmful and deadly. The answer is KNOWLEDGE. Many kids have no idea what drugs are or what they do. They don’t know WHY they’re being told to say NO. Kids are smart, and they’re even smarter when educated on the facts about drugs and alcohol. Psychoactive drugs are essentially poisons to the brain and body. The word “pharmaceutical” comes from the Greek pharmakeus “preparer of drugs, poisoner” and pharmakon “drug, poison, charm, spell.” Alcohol is a “drink containing a volatile flammable liquid produced by fermentation.” Kids love to learn interesting facts about things, especially when they’re presented in an entertaining way. There are plenty of websites and videos with facts about drugs, what they are and what they do. When kids have the knowledge, they’re far less likely to try drugs. They can make an educated decision. When faced with peer pressure, they’ll know far more than the kids pushing drugs on them and even most adults. Drug use has consequences. The momentary high gets harder and harder to attain and the lows get lower and lower. The creative spark an artist felt while high gradually fades into dullness and stupor. The athlete who uses stimulants to win finds himself getting more and more tired while he stacks up loss after loss, on the court and off. Future consequences are sometimes difficult to impart to a child or teen. Work with your kids so that it is real to them. Have them make observations and come up with their own examples. Consult their understating. Kids get into drugs or alcohol for different reasons: They’re bored and can’t come up with anything better to do. They’re thrill seekers and looking for the rush. They’re depressed, heartbroken, lonely, troubled. Any human travail could apply, and their peers or a drug dealer says that drugs are the answer to their prayers. Perhaps they just have no goals in life. When a child is truly motivated to reach their full potential, the thrill of that far outweighs the chemical high. This is where you must roll up your sleeves as a parent and find out what activities and aspirations outweigh the fleeting and insidious thrill of drug use. Your kid simply may not know how to deal with everyday problems that we as adults take for granted, so they should learn life skills. They may have physical problems and should get a full medical check-up and a battery of tests for allergies. Some allergies cause severe physical and mental distress. Dreams, building a future, being healthy, and having fun in the process is on a far higher plane than the debilitating chemical straight-jacket of drugs. Peer pressure can be reduced to an insignificant distraction, overwhelmed by constructive goals. A creative pursuit like a musical instrument or writing or painting can captivate a child’s energies and imagination so peer pressure to use drugs seems like a joke. There are two main approaches: The first is talking with the peer and straightening him or her out. If it’s a peer group, then talking to people individually is best. If your child can get their friends to see the light, it will be a great accomplishment on their part. The second approach is to get new friends. If a “friend” really wants you to use drugs, you don’t need that friend – a fact that shouldn’t be difficult to grasp once you’ve established rapport and knowledge about drugs. When a child has established constructive goals, help them find new friends and groups with similar interests (that don’t include drugs). And if you can’t find a group, help your child form one that is up to their standards. Some kids are content to ignore children with peer pressure. It doesn’t bother them. Others must confront the situation through any of the strategies listed above. Others do best when they have positive role models – you as a parent but also people in the arts or sports who set a good example of success and a healthy lifestyle. When your child is at a friend’s house or out with a group, they can be in a vulnerable position. Work out a plan where they can call you, and you can pick them up if needed. This is especially important where any teen driving is concerned. You and your kids should have a precise strategy where there is any possibility of impaired teen driving. Drugs destroy lives, but drugs, alcohol, teens, and driving are a blueprint for catastrophe. Your son or daughter should be able to call you or a trusted friend at a moment’s notice – night or day, rain or shine – and get a ride home. If they know you won’t get angry, they’re far more likely to make the call. You can sort it out later but getting them safely home and not into the vehicle of an impaired driver is the priority. They can also be the responsible person among their peers and refuse to give someone their keys if they’re obviously impaired. Cannabis (marijuana, pot, weed) is getting more and more popularized. The truth is that kids are getting peer pressure on cannabis not just in school, but from film, television and many other sources. It’s heavily pushed through media and it is no accident. Cannabis is becoming “Big Cannabis” with millions in venture capital dollars to engineer new strains and market the drug on a mass scale. Whether you believe it’s a gateway drug or not, the truth is that it’s a drug and acts upon the brain and body like a drug. The argument that it’s illegal doesn’t necessarily work since it’s growing increasingly legal (for adults in some states). The approach should be in education, the psychoactive properties of the drug, THC (tetrahydrocannabinol), and how it can affect reaction time, brain development, and personal motivation. Websites exist with information and videos about marijuana, without any for-profit slant. Ultimately, you can’t be there by your child’s side for every situation involving children with peer pressure. They become more and more independent while they guide the trajectory of their own lives. You’ll always be there in some form or another, but they are responsible for their own destiny. Help them to be proficient in discovering knowledge for themselves, not listening to their “friends” or even the “authorities.” They should be able to think for themselves and make independent decisions based on reason and logic. Cultivate an attitude of accomplishment and progress toward their goals. Life is much more fun without the burden of drug abuse. With an enlightened mind, your kids will know that instinctively. Once you know that your children know how to make good choices, you won’t have to worry about your children with peer pressure.